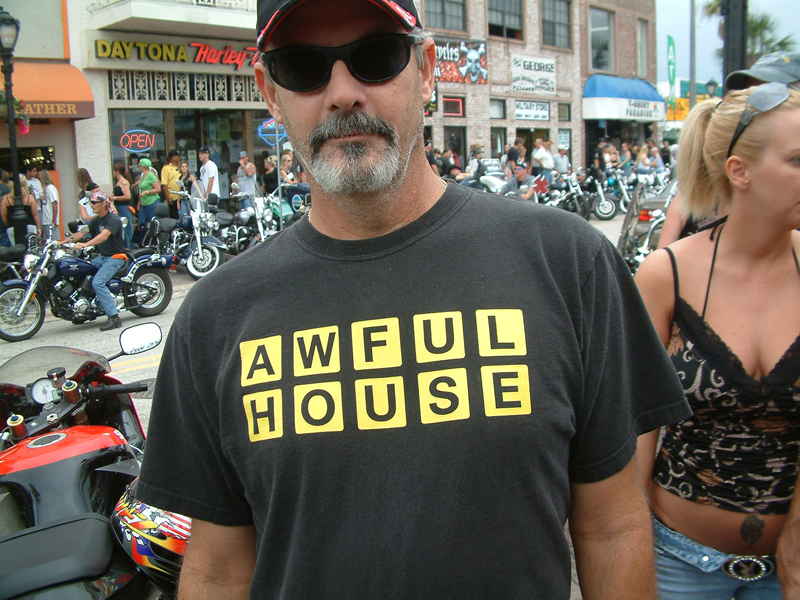 34 Biketoberfest 2008 Photos – The Awful House! | JIFFY FEET – Southern Fried Awesome! 34 Biketoberfest 2008 Photos – The Awful House! Well, better late than never I always say… haha. I finally got around to posting the pics we took from BIKETOBERFEST last year. You can now check out all 34 of them in all their glory in our flickr Photo Set. This set has got it all mang, The Fathers Against Rap Music Shirt | The Mobile Stud Service | The Second Worst Tattoo Ever | The Ice Cream Man From Hell | No Muff Too Tuff | The Crotch Rocket Duelly | a Trough of Delicious Eats and much much more, Enjoy!!! One Comment on "34 Biketoberfest 2008 Photos – The Awful House!" Now dats funny right dur now ya here!